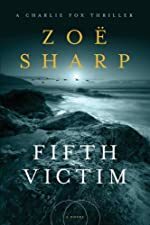 A few weeks ago singer/songwriter Beth Rudetsky wrote us, asking if we'd take a look at a trailer for Zoë Sharp's new Charlie Fox mystery Fifth Victim. We did, and were struck with how well the visual images were paired with the music and gave a real sense of what the book was about. We asked Beth to tell us a little more about her collaboration with the author — which she did — and she was kind enough to allow us to share her story with our readers. Zoë Sharp and I began communicating with each other last November. One of the things that Zoë shared with me is that she has a great passion for music and listens to many different kinds of music that inspire her and that fit the mood of the character as she writes. We found that we have a lot of music and artists that we both enjoy listening to and that we also look to be filled up and moved by an artist and their song. 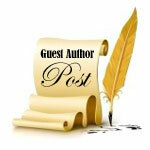 I shared with her also that I've had a passion for reading mystery and crime-thriller novels since I was a kid. In reading a great novel, I'm always drawn first to the character's emotions, the struggles that come from these emotions along with the psychology behind how the character's mind works and how he/she got to be in the situation that becomes the story in the book. I then offered to share some of my songs that I had written and recorded for Zoë to listen to, which she loved. She was thrilled and wrote to me how she loves my voice and my vocal range and how my songs stay with her. I was inspired by the characters of the many books that I’ve read that were written by her over the years and wanted to write a song for her specifically. We then decided that I would write the song for a book-trailer/video of her novel, Fifth Victim, which was released in the U.S. this year. We talked about how her protagonist was struggling with conflicting emotions of staying with someone or letting them go. It was then that I came up with the idea of how I wanted to shape the lyrics into a story about the character not wanting to be a victim emotionally and also tying it into at the same time to being a victim physically, tying it into Zoë's story in Fifth Victim. I write character-driven songs and usually write out the lyrics first that tell a short story about the emotions that consume the character, the questions the character has about their plight that is reflective of the emotions they possess and also the character questioning in the song how their life arrived at this point that makes these emotions so resonant and dominant in their thoughts and lives. Many times, my lyrics reflect the character's plight being unresolved, just like what can happen in life. I don't like to wrap things up neatly with a bow. My songwriting also reflects what I have psychologically observed about people over the years and the questions I have about what makes them tick internally. My songs also question and reflect on my own thoughts and emotions many times. I majored in Classical Piano performance at Hofstra University and studied piano and music theory with concert pianist Morton Estrin. He trained me to play as well as a concert pianist and I developed a strong technique in my hands and learned how to put together a piano recital, intensely preparing a year in advance for a big concert and to have the time to really know and absorb the compositions in my fingers, heart and mind. My favorite composers that I studied are Chopin, Rachmaninoff, Prokofiev and Samuel Barber. I studied fiction writing with novelist and screenwriter Richard Price while also a student at Hofstra University. He taught me that a good writer grabs the reader's attention immediately and I utilize his teaching in writing the first few lines of my lyrics. I studied composing with composer Herbert Deutsch, where I first noticed that I was developing a sadness and yearning in the melodies and chord structure of my songs. These three teachers were instrumental in my development as a musician and songwriter. In my early twenties I discovered that I could sing and started putting together cabaret shows, singing and playing the piano for songs from the 1930's and 1940's, jazz, Broadway, singer-songwriters and popular ballads. One of the thrills I experienced was working for Burt Bacharach as a singer-pianist for three years every weekend at his restaurant on Long Island. I also sang background vocals on many pop and dance recordings over the years and composed music for film as well as singing the songs too. It is very exciting for me to write songs for authors and I'm being told that I have created a new genre in writing a song specifically for an author's book-trailer. Usually trailers feature only stock sound effects and never an original song. When writing songs for an author, I read the author's novel and in addition I like the author to e-mail me in their own words a synopsis of the story in their book. When I compose a song for a mystery or crime-thriller author's novel, I find that I am able to intuitively tune into the character/s emotional plight as well as combining it with the author's story line. This combination creates a compelling and thrilling song. I am currently at work on writing a song for the book-trailer of crime-thriller author J. Carson Black's novel Icon, which will be released in June. As well as a composer I am also a singer and approach singing the song that I write the way I approach all songs that I perform, which is using my voice to bring out the melody line and emotions of the character and find that I touch a listener deeply. When I'm writing the music and lyrics to a song, if I find that I am grasped by the lyrics and jolted by the melody and the chords, then others are just as moved. It's an innate feeling that becomes transcendent and universal. I feel that music and books are very much related. They cannot be left inanimate or turn to dust. Music must be heard. Books must be read. On Long Island, the playground of New York's wealthy and privileged, Charlie Fox is tasked with protecting the wayward daughter of rich businesswoman Caroline Willner. It seems that an alarming number of the girl's circle of friends have been through kidnap ordeals, and Charlie quickly discovers that the girl herself, Dina, is fascinated by the clique formed by these former victims. Charlie worries that Dina's thrill-seeking tendencies will put both of them in real danger. But just as her worst fears are realized, Charlie receives devastating personal news. The man who put her partner Sean Meyer in his coma is on the loose. Great interview and I'm so glad the video we all worked so hard on is there. Just goes to show you can achieve anything. Proud to say I worked on that video.